Podgorica is the capital and with a population of 150000 people, the largest city in Montenegro. 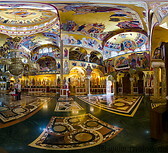 It is located in the southern plains north of the Skadar lake. Podgorica doesn't have many old historic buildings, because it developed relatively late in the 18th-19th centuries and was completely destroyed during World War II. After World War II Podgorica was rebuilt and became heavily industrialised. 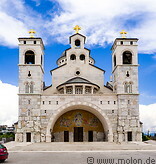 The Cathedral of the Resurrection of Christ is a big and beautiful Serbian Orthodox church in Podgorica, built between 1993 and 2013. The Delta City mall was opened in 2008 and is the largest mall in Podgorica. The Svetog Petra Cetinjskog boulevard is the main shopping street in Podgorica. It crosses the Moraca river and is bordered by city parks. 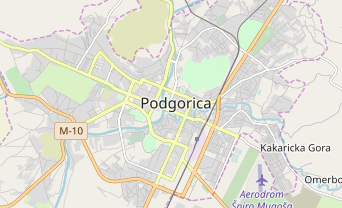 Podgorica is connected with the European motorway and railway networks and has an own international airport. There are countless hotels in Podgorica, all bookable via the international booking portals.